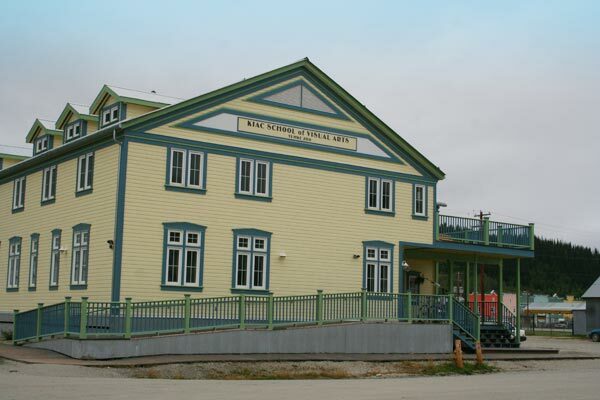 The Historic Odd Fellows Hall is home to The Klondike Institute of Art and Culture (KIAC), featuring a public art gallery, instructional programs and performing arts venue offering a broad range of events and activities throughout the year. The KIAC presents The Dawson City International Short Film Festival in April each year, featuring 3 days of workshops and screenings of short films from around the world – as well as The Yukon Riverside Arts Festival, coincides with Discovery Days celebrations in mid August each year. The arts festival consists of interactive artist tents alongside the Yukon River, an art function, a family street dance and much more!